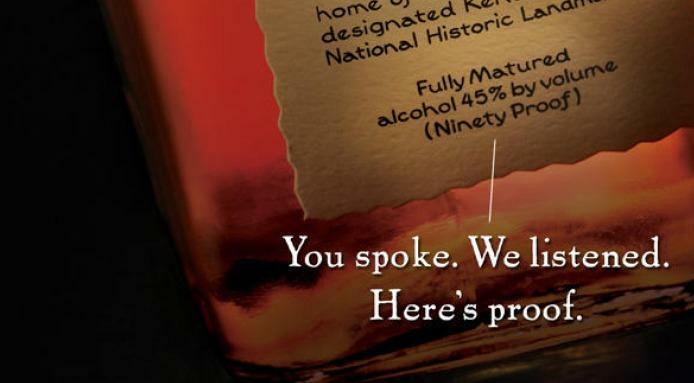 Bourbon fans across the country spilled their drinks last month when Maker's Mark announced that it would begin diluting its liquor in order to increase volume and meet demand. The company said it would add more water to the formula that has been unchanged for more than 50 years, reducing the proof of the spirit from 90 to 84 proof, or from 45 percent to 42 percent alcohol. An immediate backlash occurred, with nationwide press and die-hard fans saying they'd never buy the wax-sealed bottles again. A week after announcing the decision to dilute, the company recanted, backtracking on the move and saying it would resume producing the liquor at 90 proof effective immediately. Bad business moves that lead to negative press are not new (critics immediately called this Maker's Mark's "new Coke moment"), but the Internet age allows those mistakes to spread exponentially far and fast, and gives users the ability to make their displeasure heard en masse. The bourbon producer reversed its decision quickly, but sometimes brands are permanently hamstrung after making the wrong call: in 2011, Netflix lost 800,000 customers and $9 billion in market value when it raised prices and launched the ill-fated Qwikster brand. The success of both Maker's Mark and distributor sales hinge upon offering a premium-quality product or service, and anyone in promotional products sales can learn something from the liquor company's missteps. Here are three mistakes made by Maker's Mark that you can easily avoid to keep your, and your client's, reputation strong. You aren't doing your job out of the goodness of your heart. For you it's about the money, but it shouldn't be for your customers, especially when it comes to a top-shelf product or service. Fans of Maker's Mark thought the company was dedicated to producing the highest-quality product; by diluting the bourbon to increase volume and sell more, the company told its loyal customers that it was driven by the dollar. The customers, in turn, were driven away. When talking with your customers, don't let bottom-dollar, commodity-based selling cheapen your image-insist on offering a best-in-class service. If you have standards and stick to them, and your clients will stick to you. Would you call up a reliable customer who regularly ordered the same calendar/diary/notebook year after year and excitedly tell them that you were able to reduce the paper quality of the product, allowing you to sell more of the items to other people? 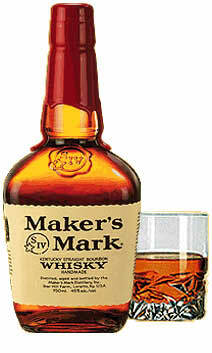 That's what Maker's Mark did in the press release issued to customers and the media. It touted a change in the beloved formula as a benefit, because it would allow the company to overcome a shortage of product. The problem? The "shortage" wasn't locally in the USA, but a result of the expansion to India and other international markets. The company took away the steak then offered back the bone, expecting users to be grateful. The lesson here is simple: Don't sell out your most loyal customers for the prospect of new ones. Promotional products are a marketing medium: at their core, they exist to spread awareness of a brand. If those products are able to gain mainstream press and spread that brand awareness further, they are considered exceptionally successful... that is, unless they're in the press due to a gross misspelling or for injuring consumers. February's announcement and subsequent reaction is the most exposure Maker's Mark has ever received and it was entirely negative; someone just discovering the company is immediately left with a bad taste in their mouth. The press did more harm than good for the brand, and chairman Bill Samuels, Jr. has described the period as "the worst four or five days in my life." Listen to what your client is asking you for, and if you think it could backfire if it got out to the wrong audience, advise them to take a different path; what may seem like a smart promotion to your client could be seen as offensive to someone else. 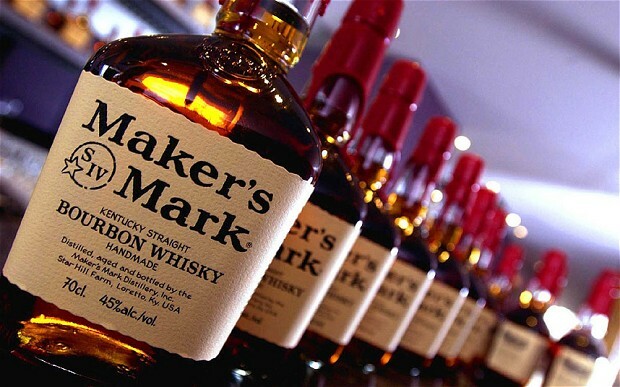 The initial problem for Maker's Mark is that supply couldn't meet demand; the product was already selling out, so there's no way the company could gain sales from this debacle. The company's problem now is minimise damage to to its reputation and to try not to lose too many customers to competing bourbons, both more difficult challenges to overcome. Ironically, by manufacturing the second problem (losing customers) they solved their first problem (selling out of product), but I wouldn't call that a success. In the end it is unlikely that the company will suffer too much financially as a result of the news: If the product was selling out before, it will continue to sell out. But the people buying it now many not be the same loyalists who made the brand a success, and those loyal fans have to go somewhere. That means increased competition for Maker's Mark and ultimately the potential for fewer sales. The psychology of sales. To discount or not to discount? Above and below the line marketing - what's the difference? All content and imagery is copyrighted by grantforbes.com 2013. Awesome Inc. theme. Powered by Blogger.